Making and sending thanks the fun way! Handmade Thank You cards are more fun to make and send. It's even more fun to receive. So don't just buy a mass produced card. Make one yourself. Here are some examples of handmade thank you greeting cards that will, hopefully, inspire you to make some yourself. These thank you cards will come in very useful. These can be used to say thank you to a friend or anyone who has done you a kind deed, when you received a gift, or even after a funeral. You can also make some personalized thank you cards for the bridesmaids after a wedding or for those who bring or send gifts after a baby shower. Make a batch of simple thank you cards so that you always have one ready to send out when the need or opportunity arise. I have a whole stack of these homemade cards all ready to send out. You should store them all in one place, maybe in one of those plastic drawers. I have this 4 tiers of plastic drawers which I placed beside my worktable. One of these drawers is set aside for only my handmade Thank You cards. Say thanks with this Baby Shower Thank You note-card after the Baby Shower Party. 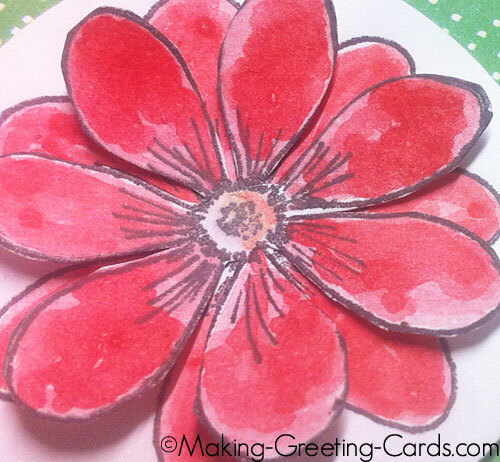 Check out this dominantly red colored Thank You So Much card. Saying "Thanks a Million!" with this handmade thank you card. 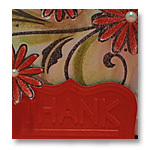 Just to say "THANKS" - a card using Making Memories Foam Stamps. Say Thank You Very Much with this simple homemade card. More cards coming soon so do check here often.